Despite the fact that its plumage does not display the four or five colours normally associated with barbets, and that it whistles while others “took-truk”, it is still a member of the Asian barbets. 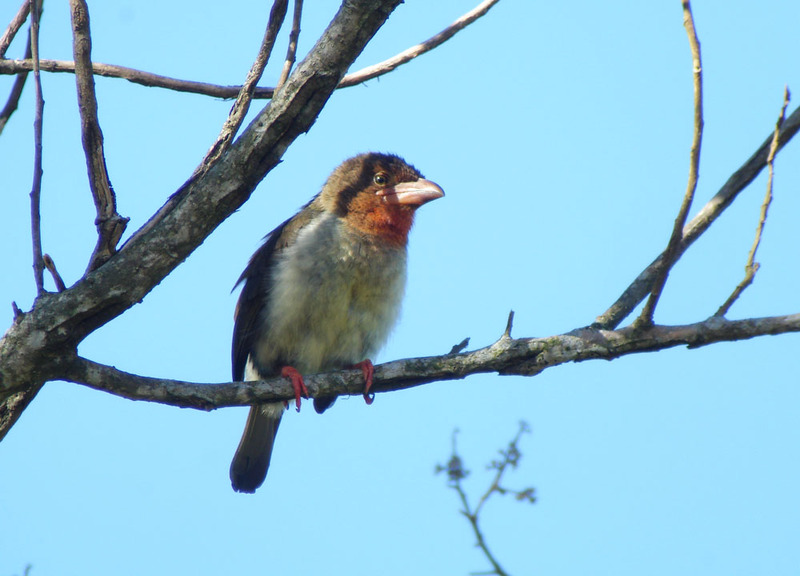 The Brown Barbet lives in groups and is common throughout the lowlands of Borneo. In the northern part of Borneo, this subspecies Calorhamphus f. tertius displays a rufous-orange chin and throat while laying claims to Bornean endemicity.